This guest post was provided by Alex Hamilton. Vehicle dash cameras have skyrocketed in popularity over the past few years due to vast improvements and benefits outweighing their cost. With some of the most technically advanced products on the market, more and more drivers are investing in the small yet effective device. Due to their overwhelming popularity, many vehicle manufacturers have now included them in their vehicles as a standard. Dash cams, also known as driver recorders, are video recording devices that are attached to the front dash of your vehicle. It is usually mounted via a suction device to the windscreen to achieve the best vision through your window. There are thousands of different dash cams on the market each with their own features and costs. Dash cameras will record the area in front of your vehicle. Some dash cams will also record behind as well as a wider area covering the sides of your vehicle. If you have one professionally installed, they will begin recording when you start your vehicle and stop when you turn your vehicle off. It will record footage and store the video on a memory card (usually a micro SD card). You can then access the footage through your computer by inserting the micro SD card to view and edit the footage. The #1 reason people purchase dash cams is so they can use the footage as evidence in the event of a crash. However, dash cams are also a terrific way to keep an eye on a drivers’ behaviour. Dash cams are a perfect way to prove responsibility in the event of a car accident. It is very hard to argue against the evidence of a video showing exactly what happened. By having footage showing who is at fault you are less likely to have to deal with people trying to make dodgy claims placing the fault on you. Dashcams are also great for parents who want to ensure their child is driving safely after receiving their license. It’s perfect if you are lending your own car to a family member or friend to ensure they take diligent care of your vehicle. Documenting your trip is a wonderful way to relive some of your great memories. If you’re driving your car or RV across the country, consider getting a dash cam installed before you leave. 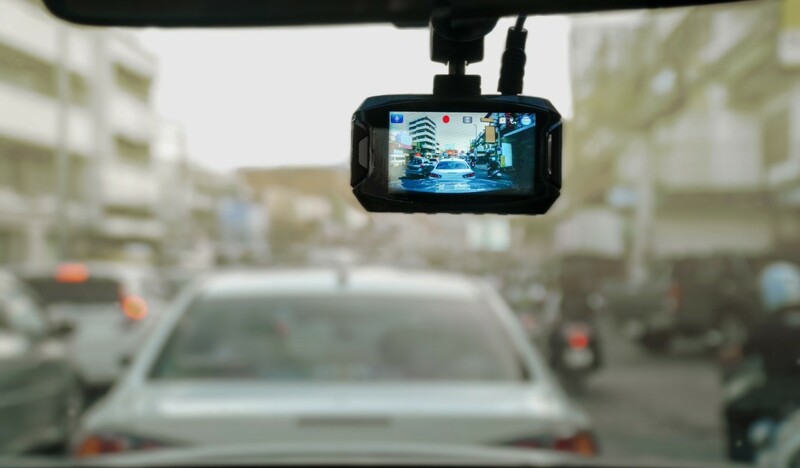 Dash cam footage is a perfect way to remember each leg of your journey which you can put together to make a memorable video. If you’re the owner of a business that requires your employees to drive a work vehicle, dash cams are a terrific way to keep an eye on their driving. Some cameras even include GPS tracking and can record travel speeds. There are some legal issues that may pop up when using your dash cam as you are essentially filming people without their consent. However, in most countries you will find that it is legal to possess and use dash cams. Are Dash Cams Legal to Use? Dash cams are legal to use and record within most countries. However, if you are travelling abroad (especially in EU nations) it’s important to read up on their local laws as they could be a breach of data protection and privacy laws. Can I Use Dash Cam Footage in Court? Yes. Dash cam footage is allowed in courtrooms to help plead your case and prove your innocence. While dash cams are great to record the misconduct of other drivers, it’s important to remember it’s also recording your own driving. If you are pulled over by police for misconduct, they can use the footage as evidence against you. Have the dash cam installed correctly. If it is installed in a way to obstruct your view, you may receive a fine. Consider finding a model that has dash cam loop recording. This means that once your memory is full, it will begin to overwrite older footage with the new footage. This will ensure you aren’t left with your camera not recording your most recent trip due to lack of space. Find a camera that records forward, backwards and has a view of each side of your car. As many crashes won’t be from the front, it’s important to find a camera that has a larger range of view. Look for high-quality dash cams that also perform well at night. Heat resistance in an often-overlooked feature of dash cams, make sure you keep this in mind especially if you live in sunnier climates. This article is written by Alex Hamilton, on behalf of Autospark – Western Australia’s trusted auto electricians. You can catch him on Google+.